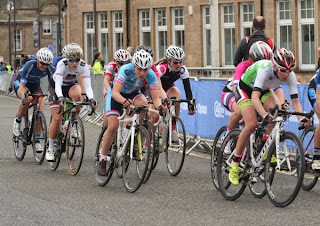 On Tuesday (26th May) Motherwell was host to some spectacular cycling around the streets of the town centre. 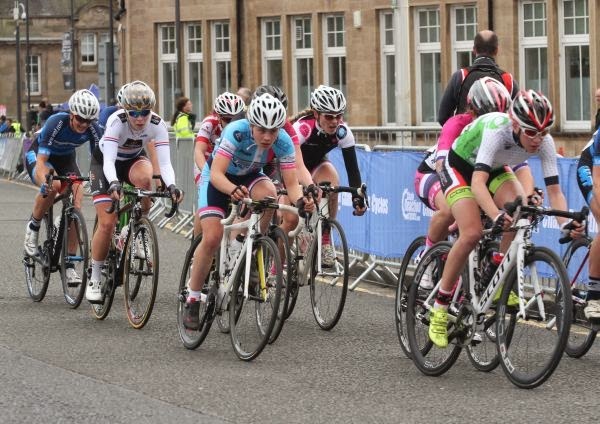 It was a sunny, if very cold, day but this did not deter the many spectators who came to watch the top cyclists in action. 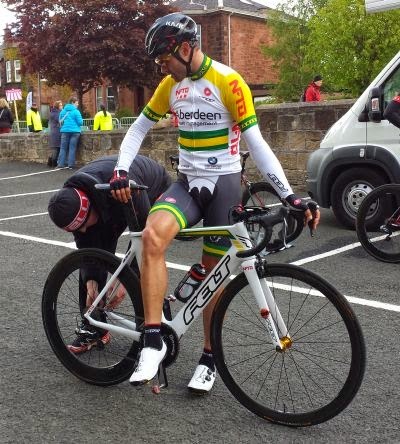 During the day there were races and events for amateur riders before the professionals took to the streets in a display of fast cycling action. 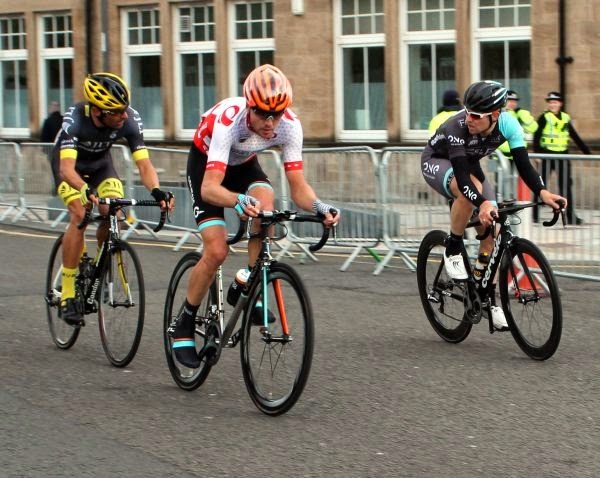 The main events of the day were the Matrix Fitness Grand Prix and the Pearl Izumi Tour Series Round 4. 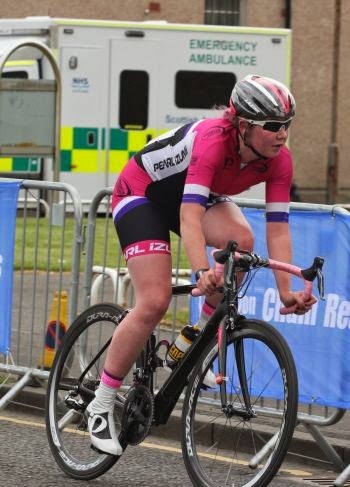 Two Scottish ladies took part in the Matrix Fitness Race - Katie Archibald of the Pearl Izumi team who was the winner and Eileen Roe of Wiggle Honda who was third. Below are some photographs from the race. (Click to enlarge). More photographs can be seen here. This was won by Kristian House of JLT Condor with Chris Opie of One Cycling and Mike Northey of Madison Genesis coming second and third. 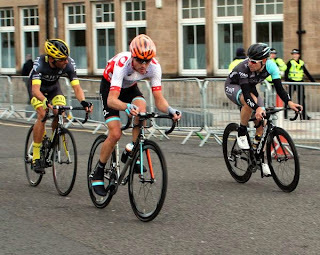 These three riders were out on their own for a large part of the race with the bunch frantically trying to close the gap. One smart rider who stood out was Australian Criterium Champion Steele Von Hoff who was wearing his Australian champions jersey. He was also wearing gold plated Oakley sunglasses which looked nice. As well as the cycling there was entertainment laid on for the fans during the day. There were also refreshments and merchandise for sale. Soreen, makers of malt loaf, were giving away free samples of the different flavours of their product. a local hotel had a barbeque in the front garden of the establishment and was selling burgers. These were very nice. It was a great day out and a big thank you to all the sponsors and North Lanarkshire Leisure who hosted the event.